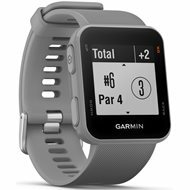 The Garmin Approach S10 watch is the perfect gift for the tech-savvy golfer on your list. It shows yardages to the front, middle, and back of the green as well as to layup spots and hazards. The touchscreen makes it easy to track stats and has a digital scorecard. Easily upload stats to the Garmin golf community and see where they rank. The S10 has 12 hours of battery time in GPS mode and is water rated up to 50 meters, so they can wear it in the rain with no problems. A YETI cooler, like the Hopper Flip 12 pictured, is another thing any man can use. There are multiple sizes to choose from, filling the need to keep anything cold for an extended period of time. 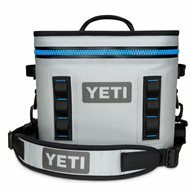 YETI coolers are also known for their durability, so you know this gift will last him, whether its the softer Hopper series or rugged Tundra series. The Wilson HyperSpeed Club Set has everything the new golfer on your list needs. The set comes with a driver, fairway wood, hybrid, 5 iron-Pitching Wedge, putter, and 3 headcovers. A polo shirt is a staple in any golfer's wardrobe. 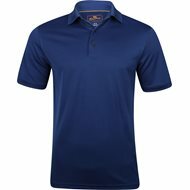 Tourney polo shirts blend traditional style with modern performance. Each classic-fitting shirt is made with moisture wicking fabric that's easy to care for. There are several colors to choose from in multiple styles. Choose from an iconic solid or striped polo or pick a fashion-forward dotted or checkered pattern. A pullover is another essential piece of golf apparel. It can keep you warm for those early morning tee times or during a round in the fall. 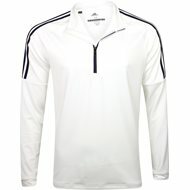 This Adidas 3-stripe polo is soft, lightweight, and wicks moisture to keep him comfortable and dry. Stylish looks make it easy to don this on or off the course. If a new driver is on your golfer's list, the PING G400 Max is one of the best out there. It's design has the highest MOI of any driver on the market, making it the most forgiving. 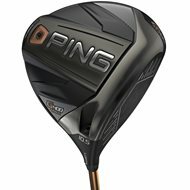 PING uses a thin TS9+ forged face that beefs up ball speed on shots hit across the face for more distance. Turbulators and Dragonfly technology on the crown make the G400 Max more aerodynamic, making it easier to swing the club faster for added distance. 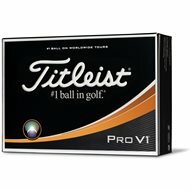 Personalized Titleist Pro V1 Golf Balls make a great gift because they're high-performance, high-quality golf balls that any golfer would love, and the custom message or name gives them a personal touch. Each ball can have a message of up to three lines of 17 characters each. 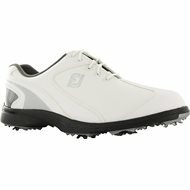 Another great gift idea is a pair of FootJoy FJ Sport LT golf shoes. These affordable shoes are durable, flexible and waterproof, keeping feet happy for the entire round. The low profile cleats on the sole position the feet closer to the ground, giving excellent stability throughout the swing. 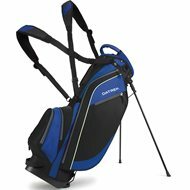 Golfers need something to carry their clubs. A great affordable option is the Datrek Superlite II stand bag. 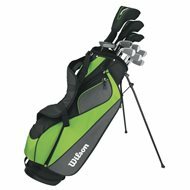 An 8-way top and 5 zippered pockets will keep their clubs and accessories organized. The double straps and overall weight of only 4.4 pounds also make this bag is easy to carry. There are also several colors to choose from. 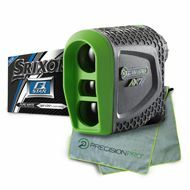 This Global Golf - Precision Pro Limted Edition package includes a Precision Pro NX7 Pro rangefinder, 1-dozen Srixon Q-STAR golf balls, and a microfiber towel. The Precision Pro NX7 Pro rangefinder has built in slope technology and a range of 400 yards. Srixon Q-STAR golf balls are a 2-piece ball that delivers tour-level performance. The lower-compression core give the ball excellent distance on full shots. The cover has Spinskin™ technology that more spin around the green. Finally, the microfiber towel will keep your clubs clean for their best performance.